Disc and Heart Friendship Necklace Only $4.69! Ships FREE! 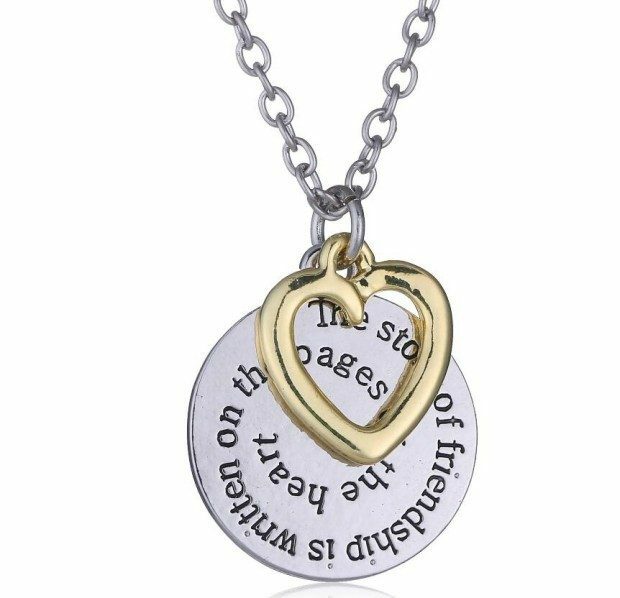 You are here: Home / Great Deals / Disc and Heart Friendship Necklace Only $4.69! Ships FREE! Order one for all your friends! Get the Disc and Heart Friendship Necklace for Only $4.69! Ships FREE! “The story of friendship is written on the pages of the heart”! A beautiful sentiment on a lovely necklace! Browse the store for other great deals!